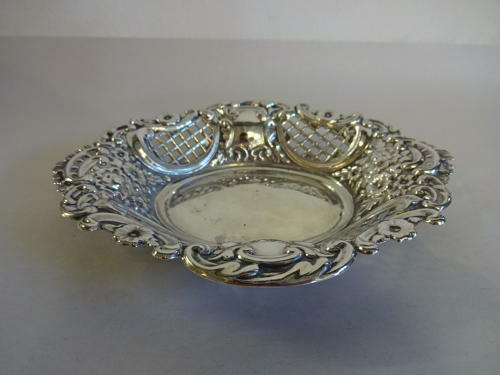 Lovely Solid Silver Pierced Dish. Hallmarked Birmingham 1972 by maker William Adams. Weighs 74 grams & Measures 15.5cms by 12.5cms, 2.25cms high.